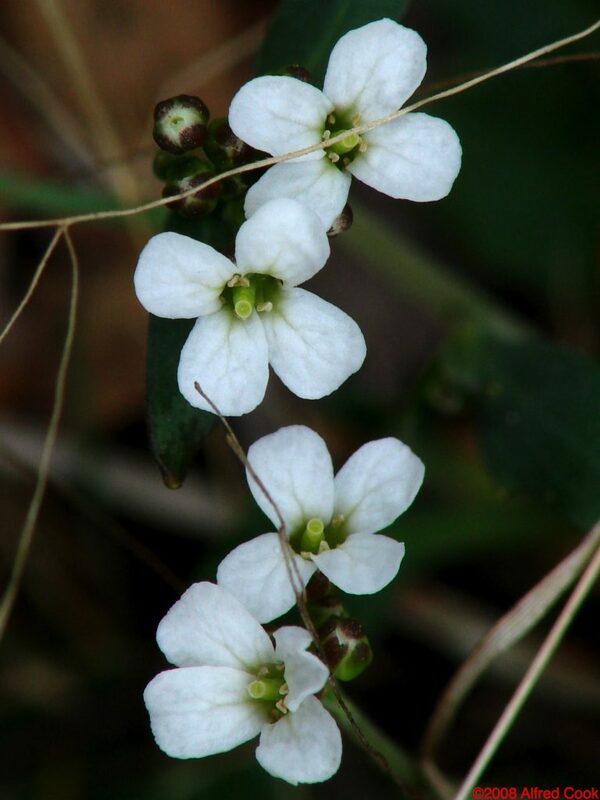 Arabis lyrata. © 2005 Janet Novak. Connecticut Botanical Society. ct-botanical-society.org (Accessed 10/017). Arabis lyrata is a biennial or perennial herb to 40 cm tall, tufted, stem branched from hairy base. Leaves alternate on flowering stem, scattered, hairy, at least below, linear to narrowly spatula-shaped, lower ones often toothed; basal rosette leaves spatula-shaped, to 4 cm long, entire to pinnately lobed. Arabadopsis lyrata ssp. lyrata flowers. alaskawildflowers.us. Creative Commons.attribution 4.0. creative commons.org (Accessed 10/2017). Flowers white, petals 4, to 0.8 cm long, 0.3 cm wide, widest above middle. Fruit dry capsule to 4.5 cm long, 0.1 cm wide; seeds in one row, wingless, April-May. Habitat: Dry woods and open areas, sandy soil. 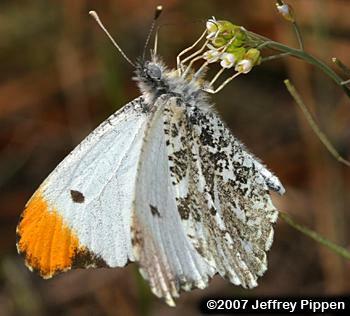 Anthocharis midea (falcate orangetip). Jeffery S. Pippen. www.jeffpippen.com (Accessed 10/2017). 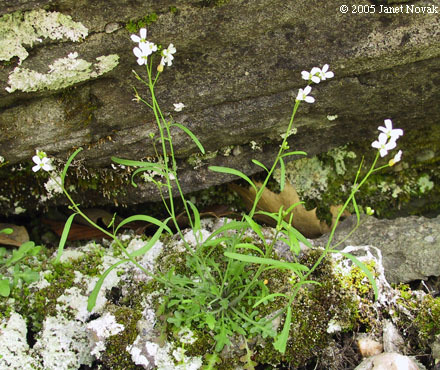 Notes: Arabis species are host to the larvae of the falcate orangetip butterfly, Anthocharis midea Pieridae (Pyle 1981). .